An example of the piece that teens will be able to create and take home. 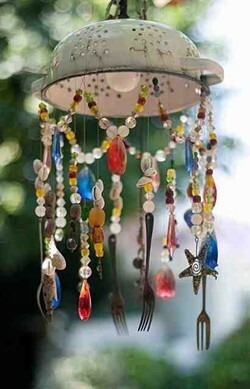 Experiment with buttons, keys, beads, silverware and even kitchen colanders. The final piece can opt as a garden wind chime, light catcher in the kitchen window, or even a creative chandelier hung in the home. Creativity will not be limited, and all interested are encouraged to participate. Space will be limited.